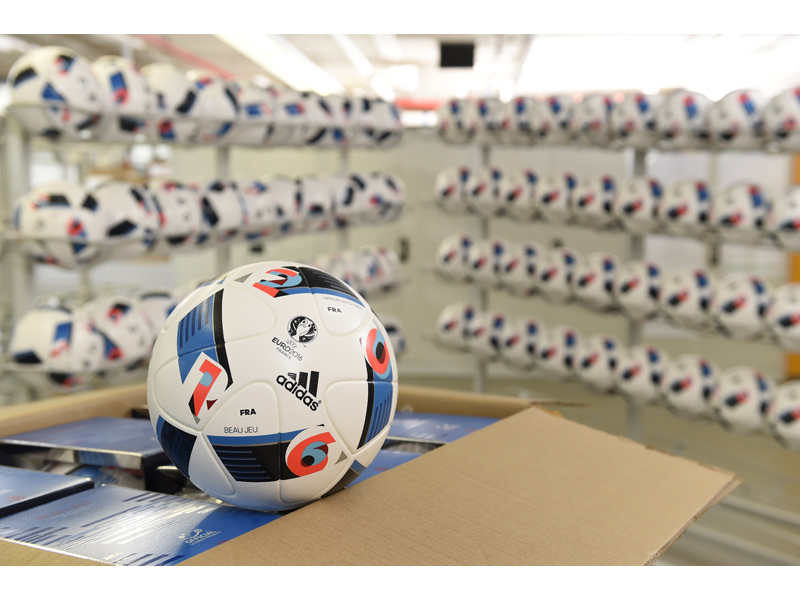 Herzogenaurach, 11th December 2015 – adidas Football has today confirmed that all countries who have qualified for UEFA Euro 2016TM have taken delivery of the Beau Jeu, the Official Match Ball of the tournament group stages. All federations including holders Spain, current World Champions Germany, and Wales, who will compete in their first European Championships, are now able to train with the ball in preparation for the tournament next summer in France. Beau Jeu, translated in English as "the beautiful game", is closely linked to next year's host country, France. The layering of colour incorporates the blue, white and red of the French Tricolour. The letters E – U – R – O and the figures 2 – 0 – 1 – 6 are also clearly visible through the blocking design of the ball. In development for over 18 months, adidas has taken the best elements of the much-loved, and most-tested, Brazuca FIFA World Cup Official Match Ball, and added a French touch of class in time for the EUROS. Beau Jeu still incorporates Brazuca's innovative and widely praised panel shape, but improvements made to the surface structure and blocking, offer improved grip and enhanced in-flight visibility respectively. The announcement comes as the teams prepare to find out who they will face in the group stages, with the UEFA EURO 2016th finals draw taking place in Paris on Saturday December 12th. For further information please visit adidas.com/football or go to facebook.com/adidasfootballor follow @adidasfootball on twitter to join the conversation.